PROVIDENCE – Benny Harold Joines "Binky", 63, of Providence, Kentucky, passed away December 15, 2012. Born October 4, 1949 to Herbert Joines and Betty (Lear) Joines. He is preceded in death by his parents, a brother and an infant daughter. He is survived by six children, his daughters Samantha Joines and Valerie Joines. His sons, Darrel(Buffy)Avery of Madisonville, Steven Avery of Alabama, Robert(Nicole)Avery of Indiana and Michael Joines, eight grandchildren and two great grandchildren. He also leaves behind two brothers, Bobby Joines of Arizona and Glendell (Lytie) Joines of California and two sisters, Dorothy (Charles) Smith of Michigan City, IN. and Reba Joines Horton of Dawson Springs. Many nieces, nephews and cousins. 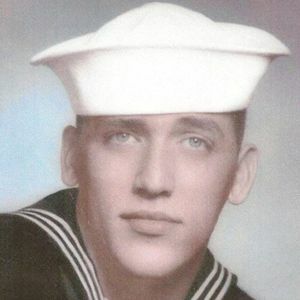 He served in the United States Navy from 1968 to 1972, he served two of those years as a Gunnery Mate on the U.S.S. Independence aircraft carrier and was a Vietnam veteran and was a welder with the Charolais Coal Company. Funeral services will be held at 12:00 Noon, Tuesday, December 18, 2012 at Tucker Funeral Home in Central City conducted by Debra McBride with burial to follow in the Fairmount Cemetery. Visitation will be after 10:00 AM Tuesday at the funeral home. 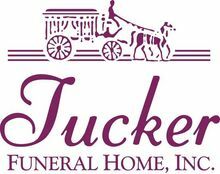 Online expressions of condolence can be made at www.tuckerfuneralhomes. This is my papa, he is amazing and caring. and he died two days before my birthday, and on my birthday party. I remember everyone in my family would be out back shooting guns and i would collect the shots after and put it in this huge container and i would make words out of it and everything. I remember in the mornings me and my papa were always the first ones up and he told me to go down to the chicken coop and get the eggs for breakfast. He would make pancakes with eggs, or my aunt Sam would make them. I remember my papa would always get us something when we would go down there, one time he got horses a black one and a red one. Nobody loved the red one so i had it, i named it red. I loved that horse. I remember I went to ride with my papa to pay a waterbill and on our way back we found a turtle on the road and i was so scared to pick it up but im pretty sure I held it. I remember we went down there for halloween and it was amazing and fun. I loved going to my papa's, there was so many memories, and i loved every single one of them. I remember I got my love for fourwheelers when I went down there and he would let us ride them or go with them for a ride. I miss him very much, and I wish i can see him today. There are just too many memories for my heart to hold, yet they are all packed in my heart and busting at the seams. There was a lot that he taught me and some things he hadn't yet. The first thing I actually remember him teaching me was how to swim and not long after that how to ride my bike without training wheels. I remember him saying that riding on grass was the best way to learn, and he was right. He taught me how to be respectful to others, discipline, and how to take care of myself. He taught me how to drive, fish, hunt. I loved his stories from his childhood, from before and after he lost his own Dad when he was only eleven. Whether they were told during our summer camping trips, or when we all sat around the living room by candlelight because they chose to put food on the table instead of paying the electric bill, I never tired of hearing them. I remember a time when me and him were living on the "farm" and we had the idea of raising pigs. What were we thinking. We built a small shed like building for the pigs; though we don't live there anymore, it's still standing and if you go out to see it you can definitely tell which side that each of us did, naturally the boards on his side that he nailed up look better than mine. Not too long before he passed I talked to him about that time and we both still laughed. I will never forget the times I shared with my Dad. Dad, it's hard to put into words what I'm feeling right now. I miss you so much. Now matter how much I tried to prepare myself for the day when you would no longer be here, it was never enough time. Today has been a week since you left us, but I know you are in a better place and your pain and suffering are gone, but the selfish part of me wishes you were still here. I feel lost right now, and I know in time I will find myself again, but that will never ease the pain of losing my Daddy. Never will I regret the years I spent being there for you when you needed me. You will forever be in my heart and I will miss you always. RIP.. you will always be in our heart! lots of luv to u! Samantha I LUV U! Benny was one of my first patietns when the clinic opened. Such kind sweet man. Alwyas smiling and never complaining. My heart aches for the family but spoke with Benny one of the last visits he made in and know he was ready to home and find great peace and comfort in knowing he truly is in a better place. Samantha, you did a wonderful job taking care of him, he loved you so and appreciated everything you did for him. Regardless of how life changes, and how many times we regret the things left unsaid, we will always remember the great people that crossed our paths. Benny "dad", you were one of those great people that crossed my path in life, you have left a lasting impression on my heart forever. Thank you for everything you showed me. I pray that your family be blessed with comfort and peace as they travel through the rest of their lives. God Bless you all. My deepest sympathies to your family at this time. Sorry to hear about the loss, may God bless your family thru this difficulty time.